Team OG plays Team LGD in the final of the International Dota 2 Championships, at Rogers Arena in Vancouver, Canada, in August. Dota 2 is a free 10-player online video game with two teams of players from all over the world competing against one another. Next year the competition will be held in the Pudong New Area. The 2019 competition will take place in the Mercedes-Benz Arena and will have the largest overall pool prize in eSports history of US$30 million. A total of 18 top teams from across the world will participate, said Gu Liming, senior vice president of Perfect World, the Dota 2 operator in China. A spate of newly released rules and policies will be initiated targeting the development of eSports in Shanghai, including the launch of a trial registration system for the games’ athletes in Pudong. The Pudong New Area government has signed cooperation agreements with Tencent E-Sports, Perfect World and other Chinese online game giants. China’s eSports market is expected to exceed 88 billion yuan (US$12.77 billion) in 2018 and to increase by another 35 billion yuan in the next two years, according to an industry report by analyst CNG. With its exclusive location and abundant entertainment resources, Shanghai has always been the center of the national eSports industry, while Pudong accounts for nearly a 10th of the national proportion. In early August, Pudong took advantage of the situation and took the lead in proposing to build a “core functional area for the development of Shanghai’s eSports’ industry” to further consolidate its dominant position throughout the country. 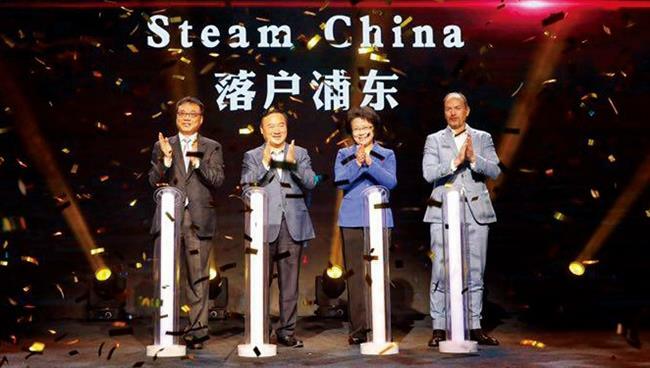 Valve Corporation, developer and publisher of Dota 2, has officially announced the arrival of its mainstream digital distribution platform Steam China in Pudong, which will strongly support the development of Pudong’s eSports industry and enhance the agglomeration of the industry in Shanghai. Officials from Shanghai government and Dota2 unveil the Dota2 TI9 to be held next August in Pudong, the first time the event to be held in the Asia Pacific area. As home to TI9, King Pro League Winter and a number of other world-class competitions, Pudong will form an industrial chain with the integration of competitions, venues and incubation bases, among others. In the future, Pudong will also increase its support to accelerate the construction of a complete eSports industry chain and the derivative cultural and creative industries, introduce international eSports organizations, industry associations and competition alliances to support local heavyweight R&D enterprises, eSports clubs and teams and encourage the construction of high-end comprehensive eSports arenas and training bases. The new area will continue to strengthen its support for eSports exhibitions, industry summits, distribution platforms and toplevel competitions to further improve the internationalization of its eSports industry. As an answer to Pudong’s effort, NetEase has planned to establish a club, players’ cultivation and host future tournaments in Pudong’s Lingang area. “The construction of eSports involves many aspects, particularly in the top level design. 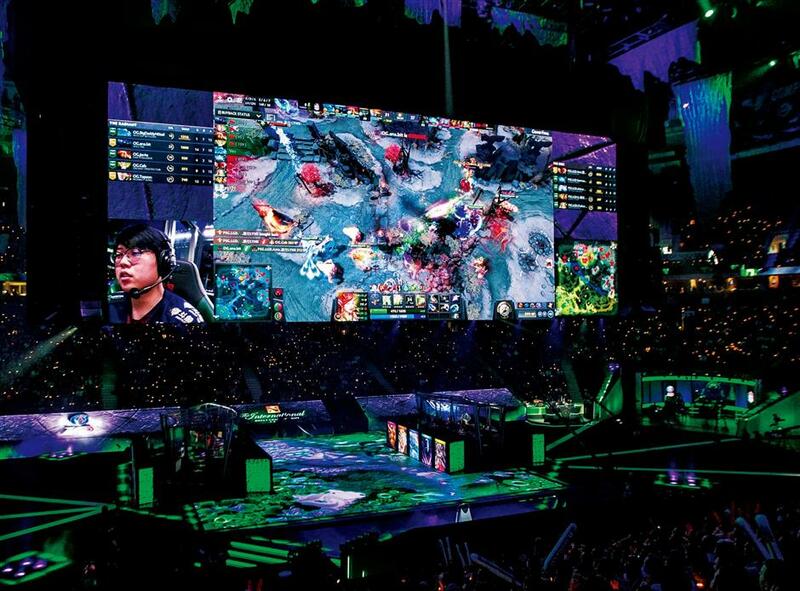 Pudong has a pioneering advantage, including the launch of the Steam platform and hence, more eSports projects are anticipated, which will stimulate the R&D of domestic enterprises,” said Xu Bo, secretary of Shanghai eSports Industry Association. The most prominent feature of Pudong in the construction of eSports highland is its openness. As a matter of fact, at the beginning of the establishment of the China (Shanghai) Pilot Free Trade Zone, the development of the video game industry played a major role. The import of video game consoles, such as Xbox and PlayStation, and derivative services was initiated in the Shanghai FTZ. This time, the launch of Steam China will also bring game resources from overseas. At the same time, Shanghai Sports Bureau has kicked off the test run of registration of eSports players in Pudong to further enhance the professionalism of eSports competitors. Additionally, Pudong will host third-party eSports events led by the government for a better mass foundation.